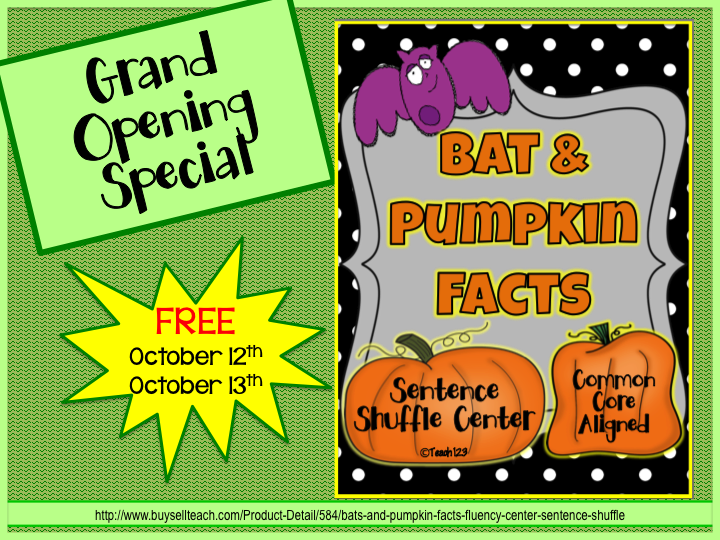 Do you love grand openings as much as I do? I love getting all the bargains and freebies. I am still using the felt shopping bags that I got when a local grocery store opened last year. 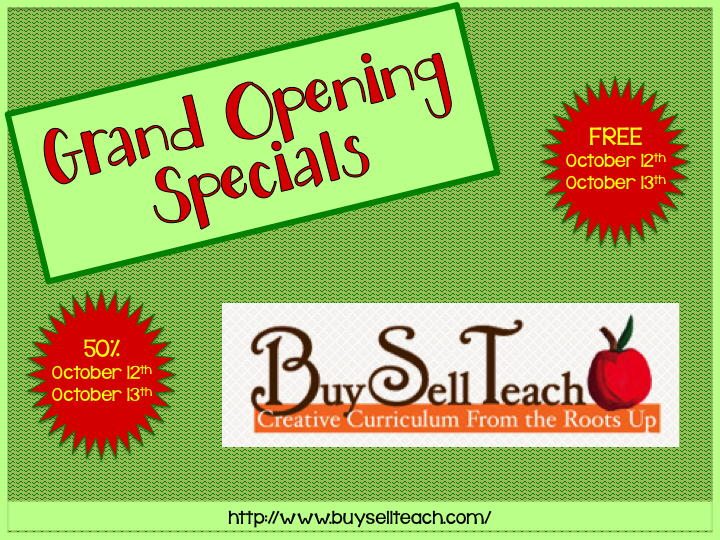 I was trying to figure out what I could do to make the grand opening of my new store on Buy Sell Teach extra fun. Since it is cyberspace, I can’t hand out shopping bags or really cool gel pens advertising my store. But, who doesn’t love to save money or better yet love a freebie? Usually my freebies are shortened versions . . . kind of like the bite size samples you get at the grocery store. For my grand opening, the center above which normally sells for $4 will be FREE until October 13th. 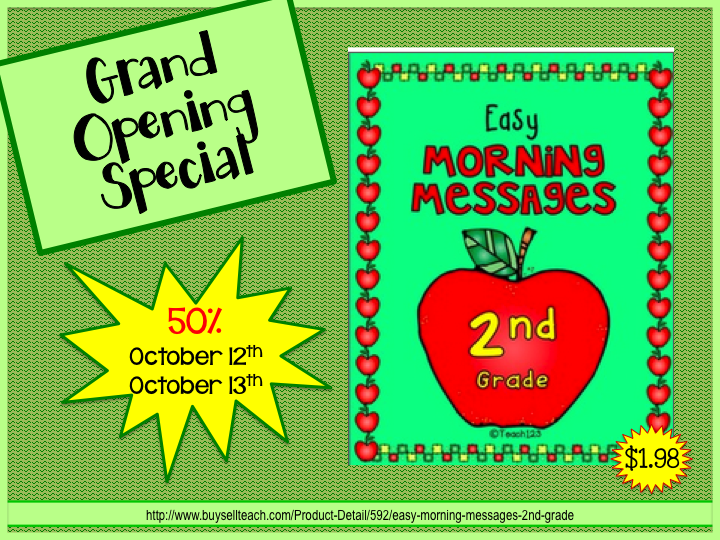 I will also mark down two of my morning message packets 50%. They only cost $1.98. These morning messages are differentiated and make great lessons to leave with your sub. Are you interested in becoming a seller on Buy Sell Teach? Here is a video you should check out! This week I got an email from Heather @ Buy Sell Teach asking me if I would be willing write a blog post about Buy Sell Teach. I had already heard about this site from my friend, Fern. As you know Fern and I collaborate quite a bit. Fern told me that it was so quick and easy to add lessons to this site. So, I opened a store and tried it out for myself. Oh! My! Gosh! I love how easy it is to add lessons to my store. Fern was so right! While Heather is compensating me, these opinions and experiences are my own. « Halloween – interactive journal, task cards, and more!